You probably know by now that we can’t get enough of cleaning offices in London and that we also love cleaning windows in London. Thing is, as much as we love having the sunshine, it does show up more dirt and grime – especially on your windows. So give us a call today for a free quotation to clean your office in London. Have you all been watching Euro 2012? Here at Millards, we have noticed it’s not quite as busy in London recently – we think it’s because so many footbal fans have travelled away to Poland/Ukraine to watch the matches. I bet that is going to be a massive operation to clear up after it’s all finished! Wow, so the Queen has been on the Throne for 60 years! There are going to be so many celebrations in London this long weekend. The Millards Head office is going to be right in the middle of it all – how lucky are we?! As many of you know, Millards is an environmentally friendly company so it should come as no surprise for us to say; If you are going to be one of the many people celebrating the Jubilee in London this weekend, please clean up after yourself and use the litter bins provided on the streets. The whole world will be watching, we wouldn’t want onlookers to think London is an untidy city! 🙂 Right, mini lecture over! In previous blog posts here at Millards Office Cleaning and Window Cleaning Services, we’ve already uncovered some famous celebrities who used to be Office Cleaners and Window Cleaners before they were famous,. 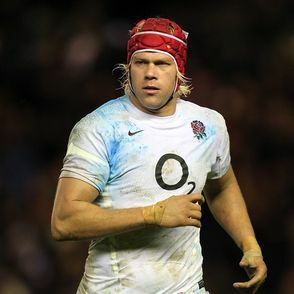 Well now we’ve one more to add to that list; England Rugby player Mouritz Botha. Mouritz Botha running at Scotland during England’s victory against Scotland at Murrayfield. Before staring in both England’s first two victories in this seasons Six Nations, the 30 year old Saracens lock had a longer journey than most to make it to the Big Time. Born in Vryheid, Kwazulu-Natal in South Africa, he was rejected for being too small to cut the mustard professionally by a whole host of rugby teams in his native country. Instead of losing heart, Botha’s response was to email several English clubs and see if he could get on any teams over here. One team, Bedford Athletic, got back in touch and offered him a trial. In 2004 Bedford Athletic played in the National league Three North, and actually dropped out of that division in Bothra’s first season. This meant he had to find work elsewhere to supplement his income as he and the rest of the team struggled to get back in the league. 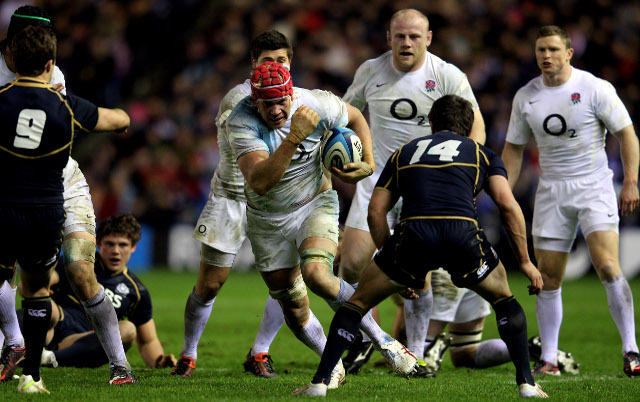 Mouritz Bothra was equally as impressive in England’s tense victory over Italy a week later. Botha’s hard work and dedication, self-belief finally paid off and he became a full time professional for Bedford Blues in 2006. If you have any office cleaning or window cleaning needs, and you need the best, look no further than Millards Cleaning Services. The best contract cleaners in London. For a FREE QUOTE, just give us a call on 020 7845 7147, or visit our website at www.millardscleaning.co.uk.